Cumulative emissions from land-use changes since 1750 were bigger than cumulative emissions from all fossil fuels combined up to 1978. Using an ultra-simple 40% atmospheric fraction carbon-cycle model yields a good match between observations of atmospheric CO2 concentrations and emissions statistics. The Great Acceleration in almost everything, which happened in the years after 1950, brought forward the climate crisis by 20 years. That’s a shorter time than the world has wasted since the Rio Earth Summit in 1992. Are the experts being candid about our chances? Equity, inertia and fairly sharing our carbon budget. I was pleased to be asked by the Corporate Knights Magazine to provide some pieces for their website and for the quarterly hardcopy magazine that is distributed with the Globe and Mail and the Washington Post: Why the 97% consensus on climate change still gets challenged (Summer 2015 Issue); Are we overestimating our global carbon budget? (website only) and; B.C. lowballing fugitive methane emissions from natural gas industry (Fall 2015 Issue). There’s another article (on CCS) scheduled for the Winter 2015 issue of the magazine, due out in January 2016. All of this pales beside the combined output of my colleagues at Skeptical Science who have contributed hugely with numerous academic articles, conference presentations, pieces in the mainstream and social media, as well as a University of Queensland supported Massive Open Online Course. Skeptical Science is run without significant funding, except for a tip jar to pay for Internet hosting. Everyone who contributes there does so as a volunteer, mostly in spare time from day jobs.There are a lot of valuable supporters whose names don’t appear on articles, but who keep the website running and the comments moderated. I should add that much of what I write benefits from reviews and comments made by my Skeptical Science colleagues. As in previous years, members of the SkS-team contributed to ongoing scientific research and (co)authored several important papers, published books and a book chapter. Kevin Cowtan published a paper (Cowtan et al. 2015) which showed that global climate models are even more accurate than previously thought. Several members of the SkS-team were among the co-authors: Zeke Hausfather, Peter Jacobs, Martin Stolpe and Robert Way. Dana Nuccitelli and John Cook were co-authors on Benestad et al. 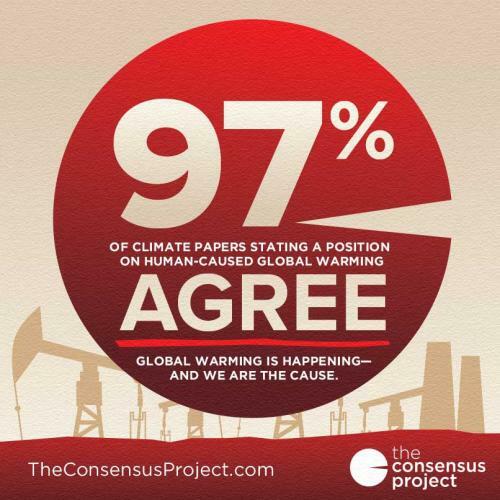 (2015) which found common errors among the 3% of climate papers that reject the global warming consensus. John Cook published Misinformation and How to Correct It (Cook et al. 2015) a multi-discplinary review of misinformation research. He was asked to anticipate where future research into misinformation might head – which is a tough ask. He approached it creatively by answering the question what he would like to research in the future. John also is a co-author on Recurrent Fury: Conspiratorial Discourse in the Blogosphere Triggered by Research on the Role of Conspiracist Ideation in Climate Denial(Lewandowsky et al. 2015) which examined the comments on climate science-denying blogs and found strong evidence of widespread conspiratorial thinking. The study looks at the comments made in response to a previous paper linking science denial and conspiracy theories. In “Misdiagnosis of earth climate sensitivity based on energy balance model results” Mark Richardson – together with Zeke Hausfather, Dana Nuccitelli, Ken Rice and John P. Abraham – explained the many shortcomings in Monckton et al. (2015). They found that differences could be explained because Monckton et al. relied a lot on a narrative approach (aka storytelling) while most other studies use physics and real-world measurements where possible. 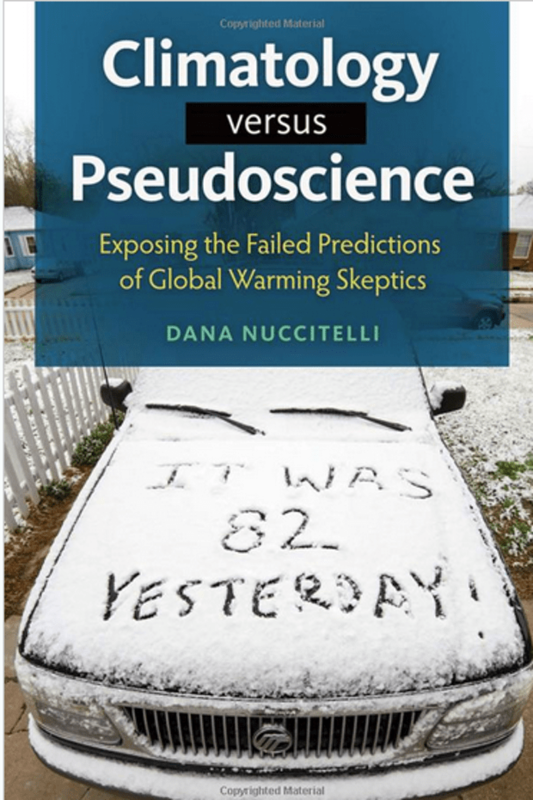 Dana N uccitelli wrote and published the book Climatology versus Pseudoscience: Exposing the Failed Predictions of Global Warming Skeptics which covers a wide range of climate-related topics, starting with a history of some key discoveries in the field of climate science beginning nearly 200 years ago. Along the way it debunks some common climate myths, progressing forward in time to the 1970s, when scientists’ ability to model the global climate began to advance rapidly. It examines the accuracy of a variety of global warming projections, starting with J.S. Sawyer in 1972, through the recent IPCC reports, as well as some predictions by contrarians like Richard Lindzen. Howard Lee published the book “Your Life as Planet Earth – A new way to understand the story of the Earth, its climate and our origins” which is a fast-paced telling of the twists and setbacks of our planet’s evolution, using the metaphor of a human life to show how the strands of climate, evolution, tectonics and cosmic events tangled through time to drive changes in life and climate. Last but not least the old myth about the alleged name change from “global warming” to “climate change” was put to rest by Peter Jacobs, Ari Jokimäki, Ken Rice, Sarah A. 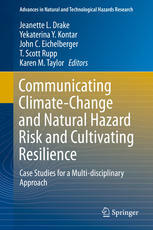 Green and Bärbel Winkler with their chapter “Polluted Discourse: Communication and Myths in a Climate of Denial” published in the book Communicating Climate-Change and Natural Hazard Risk and Cultivating Resilience (Jacobs et al. 2016). Our consen sus paper (Cook et al. 2013) and the related 97% still gets mentioned – and baselessly attacked – a lot. It is regularly refered to in speeches by Barack Obama, John Kerry or – very recently at COP21 – by David Cameron. Much to our surprise, the number of downloads – according to the publisher’s website – don’t show any sign of petering out. Quite the opposite seems to be happening: more than 2 ½ years after being published, the paper still gets downloaded between 10,000 and 15,000 times per month and currently stands at a staggering 437,000+ downloads. The paper also consistently shows up at (or very near) the top of the most read papers in the last 30 days on the homepage of Environmental Research Letters. Most of the other papers on that list are from 2015. Several more publications are currently in the works and we’ll let you know about them once they’ve been published. We published more than 400 blog posts on Skeptical Science of which around 180 were articles written by about 20 SkS-authors, John Hartz put together 140 weekly digests and news roundups and about 80 articles were reposts from elsewhere. Kevin Cowtan made the Denial101x temperature tool readily available via SkS so that anybody can now check and debunk misinformation about the historical temperature record for themselves. Kevin also put together and published an assessment about thehomogenization of temperature data and together with Zeke Hausfather wrote an article about a buoy-only sea surface temperature record which supports NOAA’s adjustments. 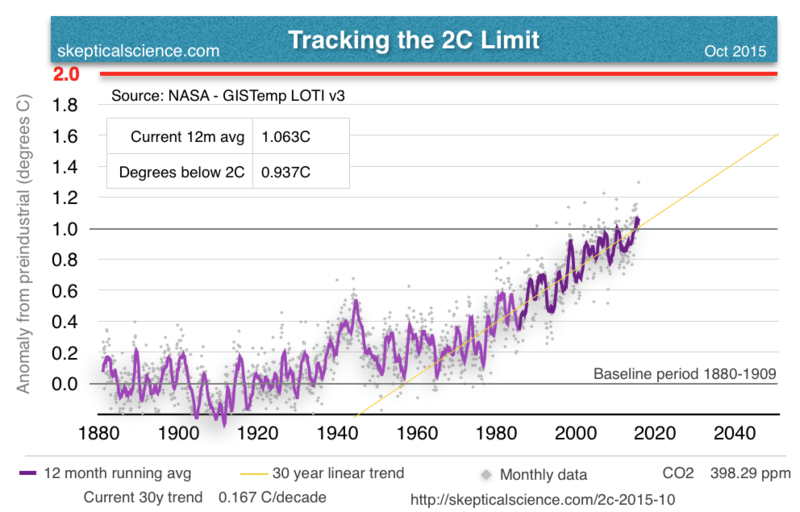 Rob Honeycutt started a new series “Tracking the 2C Limit” in July with updates posted once a month since then. 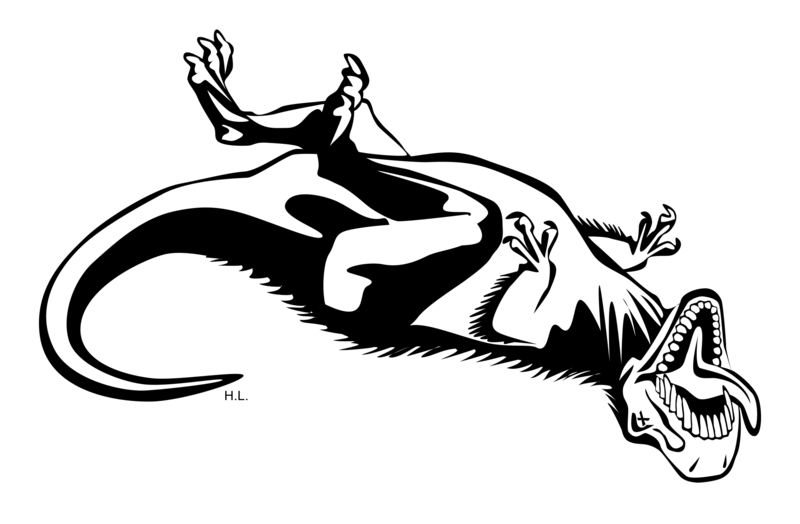 Several posts written by John Mason and Howard Leetook us back in time describing the reasons for the greatest mass extinctions, What did in the dinosaurs and what Siberian traps, CO2 and climate change had to do with those. Howard also wrote The Ghosts of ClimatePast, Present and Future a creative adaptation of Charles Dickens’ Christmas Carol. In September we published a Reader Survey to ask for your feedback about SkS and many of you provided helpful comments. We still need to go through your many suggestions to see what and when we’ll be able to incorporate. 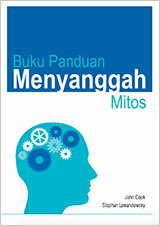 Translations of The Debunking Handbook into Indonesian, Icelandic and Hungarian brought the number of these translations up to 10. Several blog posts and rebuttals were translated into different languages during the year as well. We can always use help with translations so here is Your chance to make a difference. Dana Nuccitelli and John Abraham take turns writing for The Guardian’s “Climate Consensus – the 97%” blog. Andy Skuce is writing articles for Corporate Knights, DeSmog Canada, and recently talked about climate change in a radio show. John Cook regularly writes for The Conversation and gets asked to provide articles at sites like CNN. Material from Skeptical Science also finds its way into a wide variety of output, from University Curriculum, MOOCs, Textbooks, Scholarly Papers, Public Talks to Radio & TV, not to mention newspapers and blogs. For a sample, check out our Republisher Page. Together with the UQx team of the University of Queensland we pulled off one of our biggest projects thus far: the massive open online course (MOOC) “Denial101x – Making sense of climate science denial”. Many months in the making, Denial101x started on April 28 and peaked at more than 17,000 enrolled students from more than 160 countries. After 7 weeks the course ended successfully in mid-June and a second iteration started just two weeks later as a self-paced version with about 4,000 students enrolled at the moment. You can also watch all the lectures and interviews on YouTube if you don’t want to take the MOOC itself (but you’ll lose out on many interactive activities, quizzes and forum discussions then!). In October, John Cook gave a presentation about Science communication strategies in response to climate denial at a climate change conference in Mexico City. In addition, he travelled to Paris in July and December to capture footage and interviews with experts in the fields of climate science and solutions. A smaller team than in previous years made it to this year’s AGU Fall meeting in San Francisco to give presentations. Keah Schuenemann talked about Using “Making Sense of Climate Science Denial” MOOC videos in a college course, Dana Nuccitelli also talked about our Successful Massive Open Online Climate Course on Climate Science and Psychology and Zeke Hausfather presented Robust Comparison of Climate Models with Observations Using Blended Land Air and Ocean Sea Surface Temperatures and Bounding the climate viability of natural gas as a bridge fuel to displace coal. In August, our Facebook page passed 100,000 likes and has been going full steam ahead since then with currently 130,000+ likes. Considering that two years ago, the page had “only” 16,000 likes, this is quite an impressive increase! We are fairly certain that one reason for this steady growth is the work put in by John Hartz, one of our most tireless team members who makes sure that interesting articles get posted throughout the day. On Twitter we have 11,600+ followers, up from 8,500 two years ago (so there’s lots of room for improvement compared to Facebook!). Quite a few solid posts in that list, plus a few interesting ones that I missed and will have to catch up on. Warm wishes for 2016.